Nature is all around us. This calendar takes you on a journey through thought-provoking poetry and beautiful photography to witness nature like never before. Suitable for monthly planner or wall calendar. Size is 11" x 8.5" when closed. The mountains of southwest New Mexico have been Dawn’s home for over 40 years. 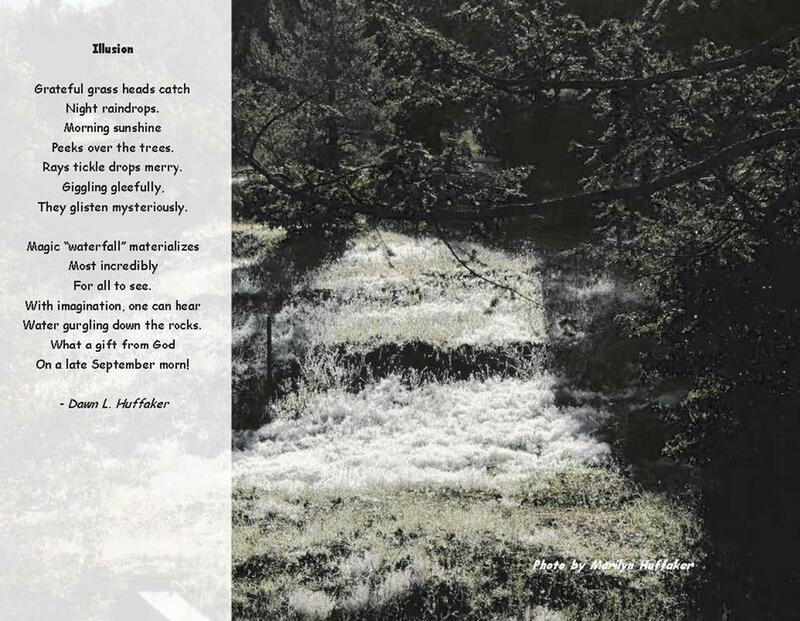 She delights in capturing the beauty of nature with her poetry and writing. Has published two books so far: Flights of Fancy: Volume 1 and Flower Escapes (Book 1). Current plans are for a new book entitled Poetry to Ponder. This should be out sometime in 2014. It will have her latest poetic creations. 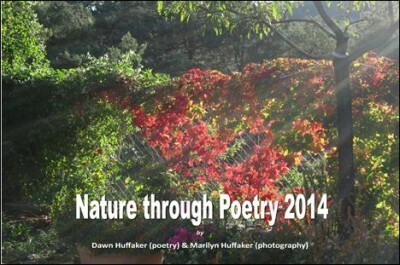 Each year Dawn puts together a calendar filled with her thought-provoking nature poetry. She partners with a photographer that inspires her newest poems. The past two years have been with Marilyn Huffaker. Marilyn has an eye for capturing the beauty around her. When you join these two together, it is pure magic.